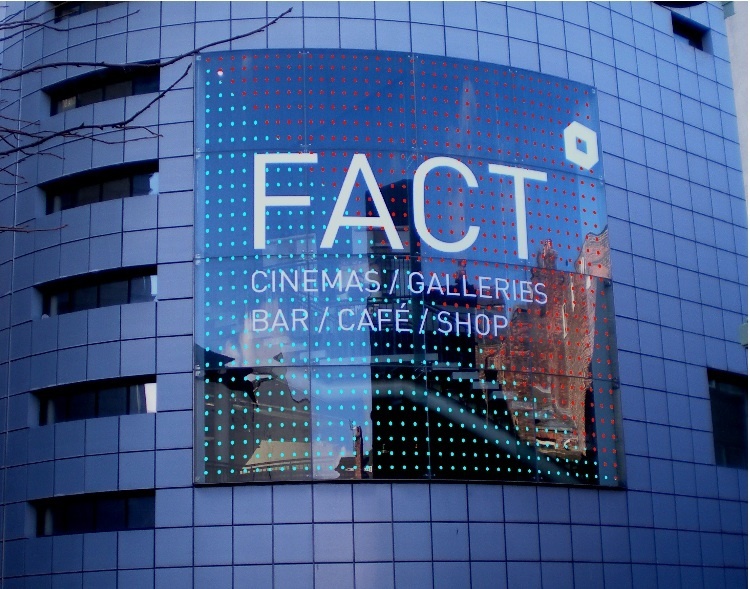 FACT launches a brand new media facade on its building in collaboration to coincide with the Media Facades Festival! Developed in partnership with Arup lighting designers, the new facade takes over FACT's front window with a 50x50 low-resolution lighting grid. The facade will be used to advertise FACT events and allow interactivity by the public, who will influence its designs. The facade is funded by Liverpool City Council to providing additional lighting to the neighbourhood around FACT and attract tourism to the Ropewalks area. The buildings outside of FACT are transformed into media facades during the Media Facades Festival. 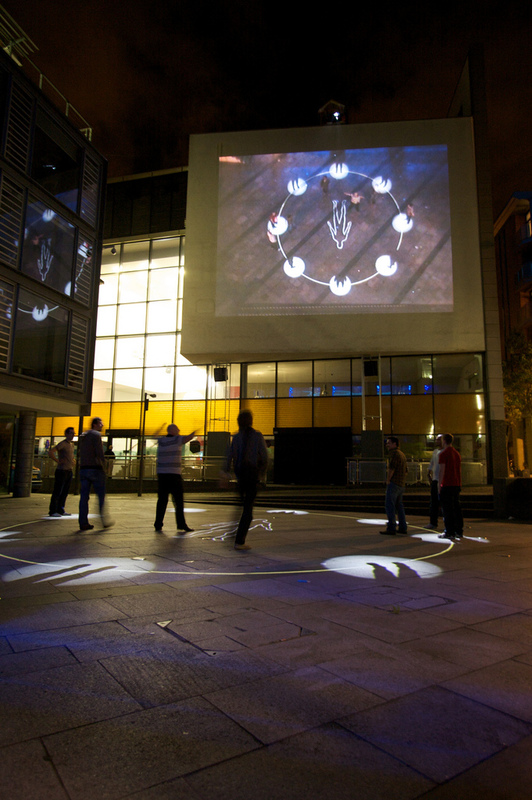 Using high-powered projectors, FACT's own building and a building adjacent are lit up at nighttime with moving image works and interactive commissions. 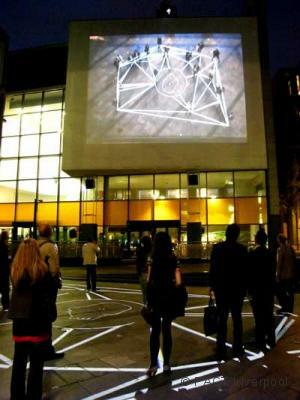 Making use of a special projection surface and projection tower, the architecture of FACT's building was designed to become an outdoor screening space which will be highlighted during the festival.